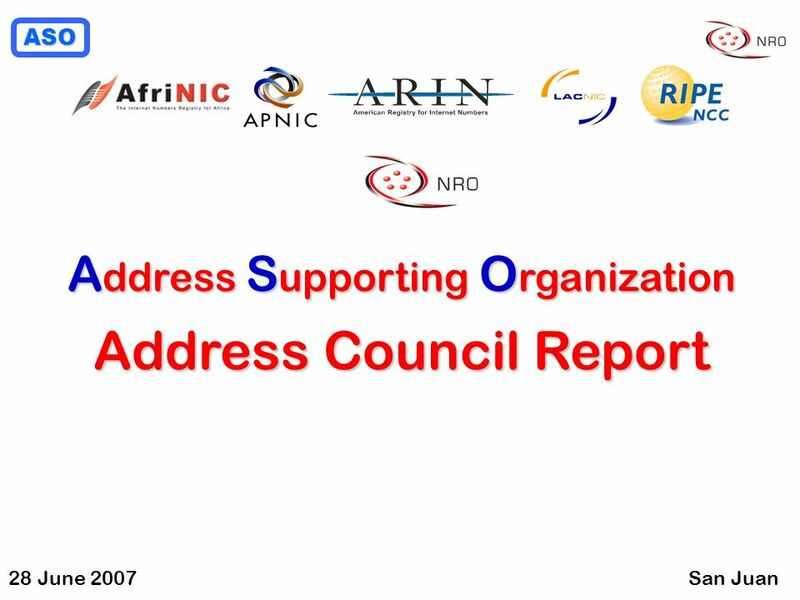 Address Supporting Organization Status Report ICANN San Juan June 2007. 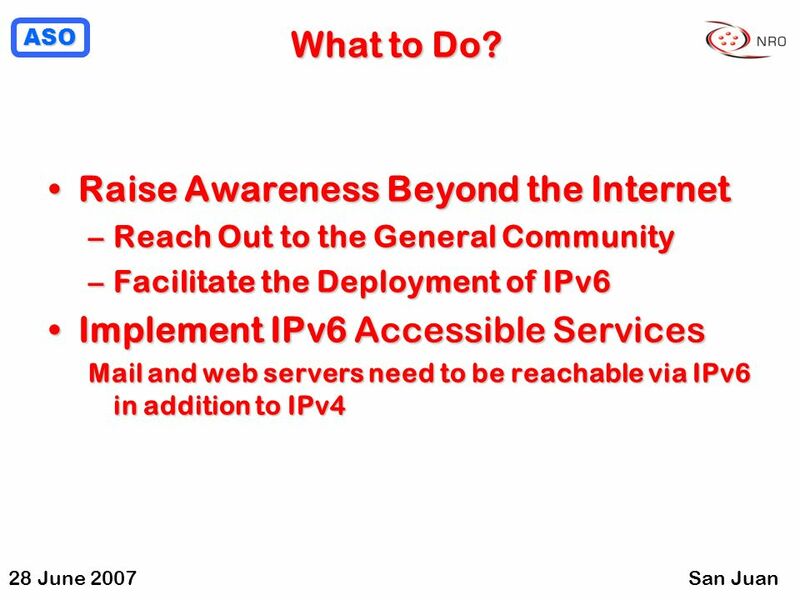 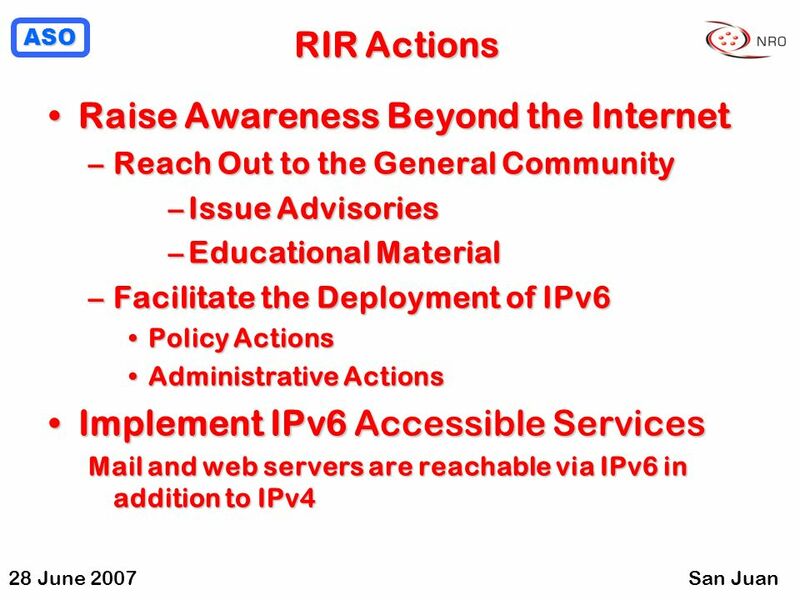 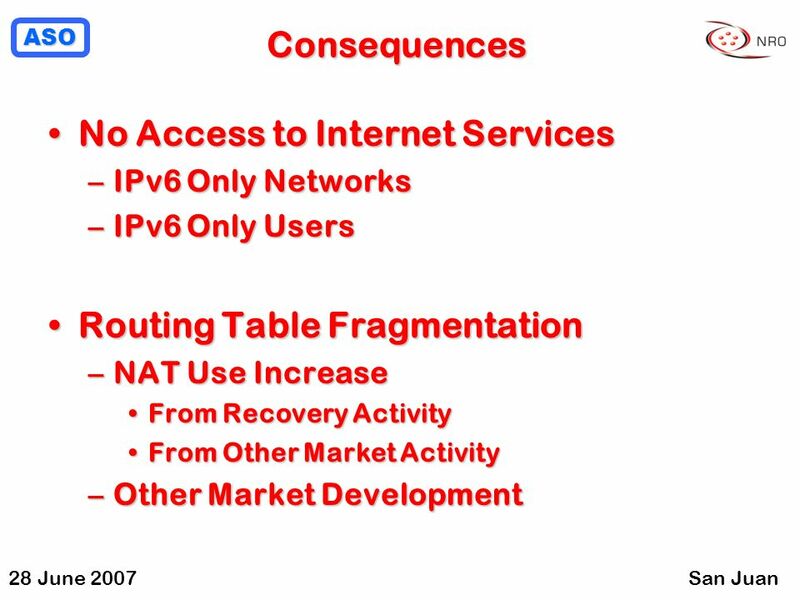 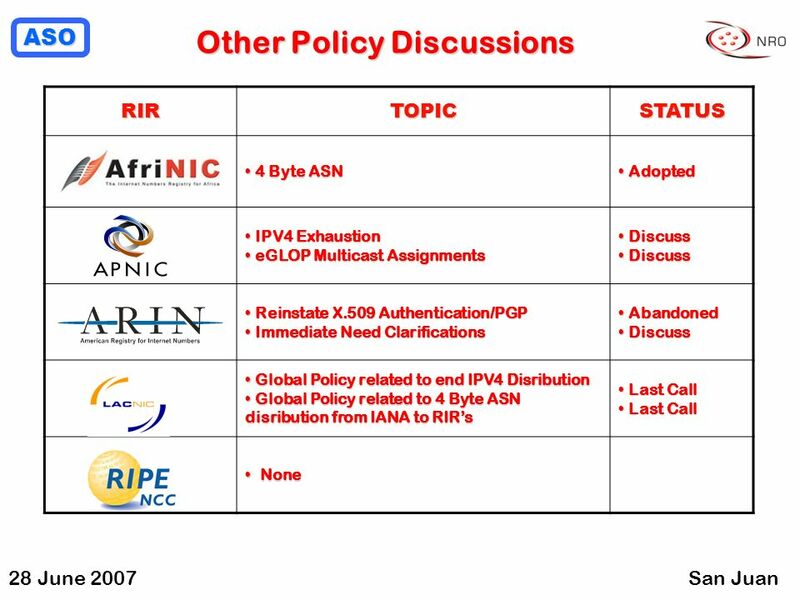 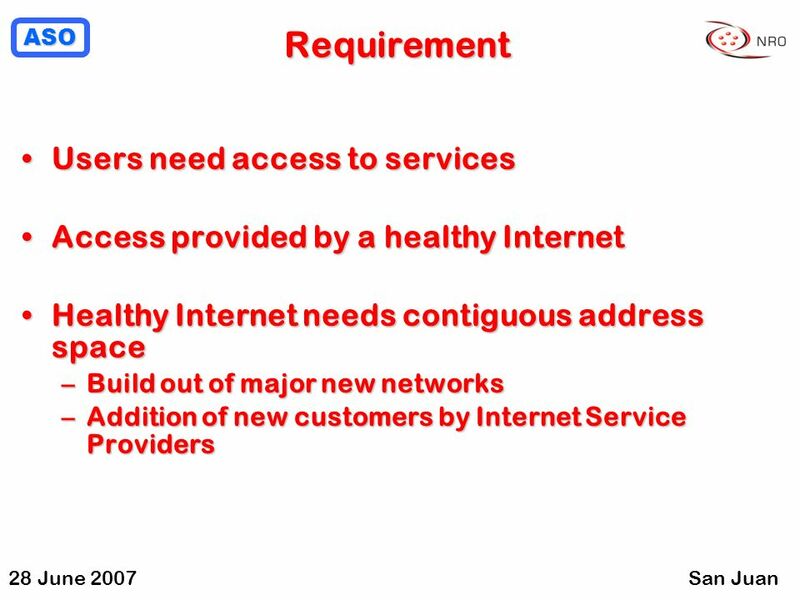 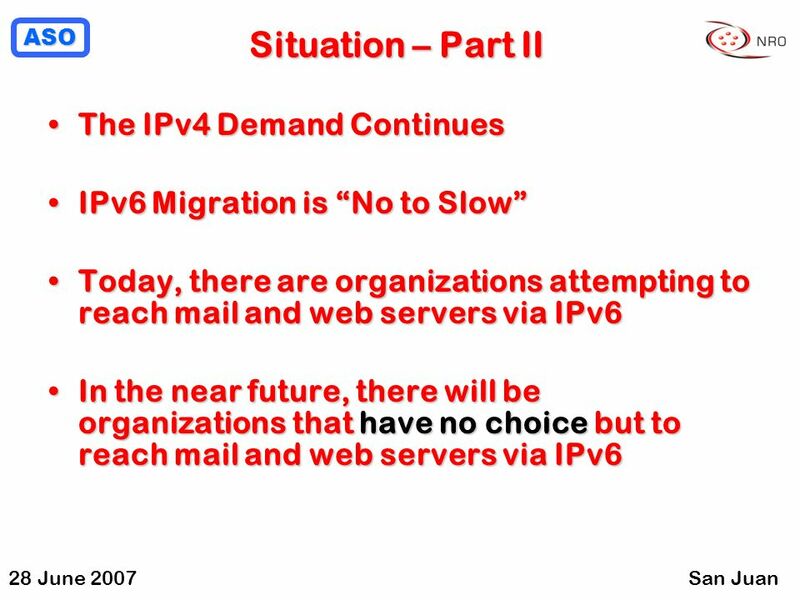 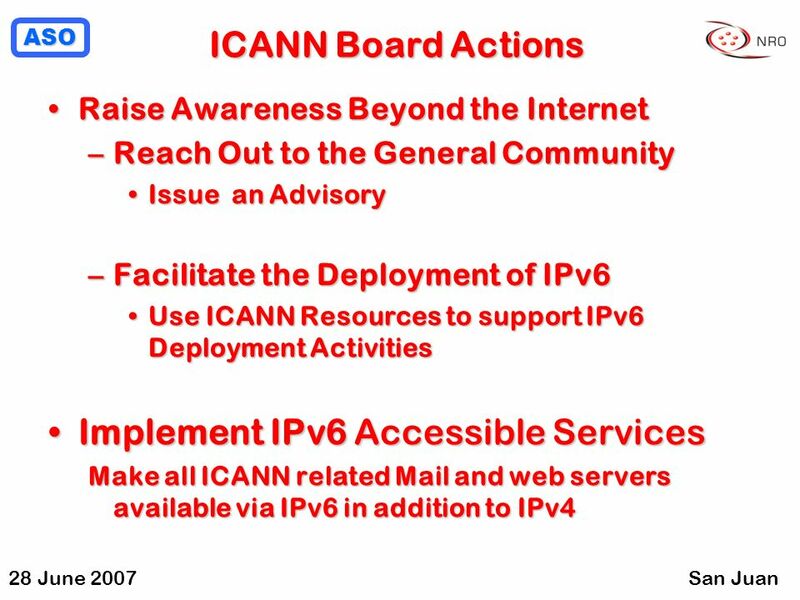 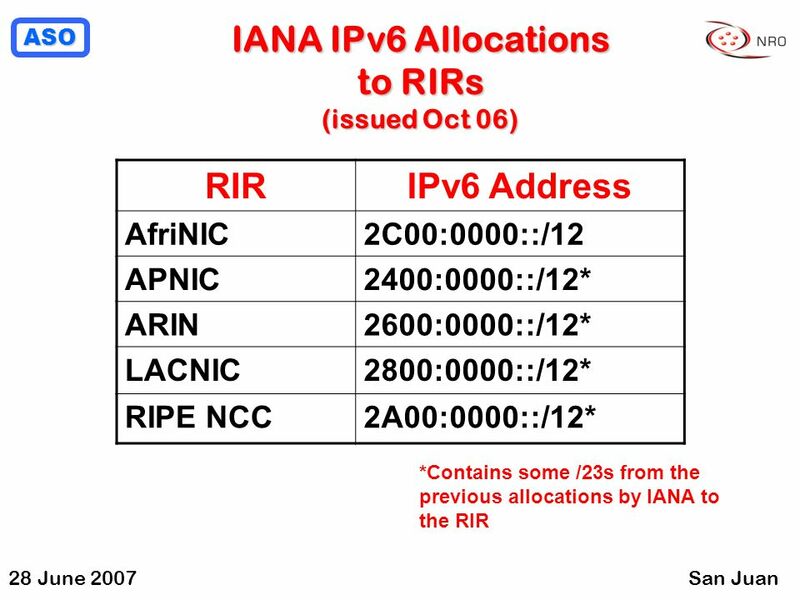 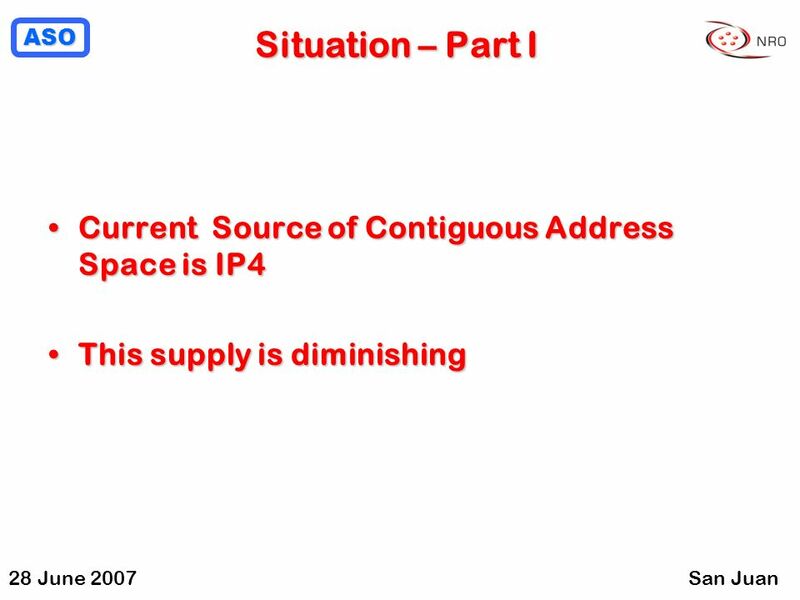 Download ppt "Address Supporting Organization Status Report ICANN San Juan June 2007." 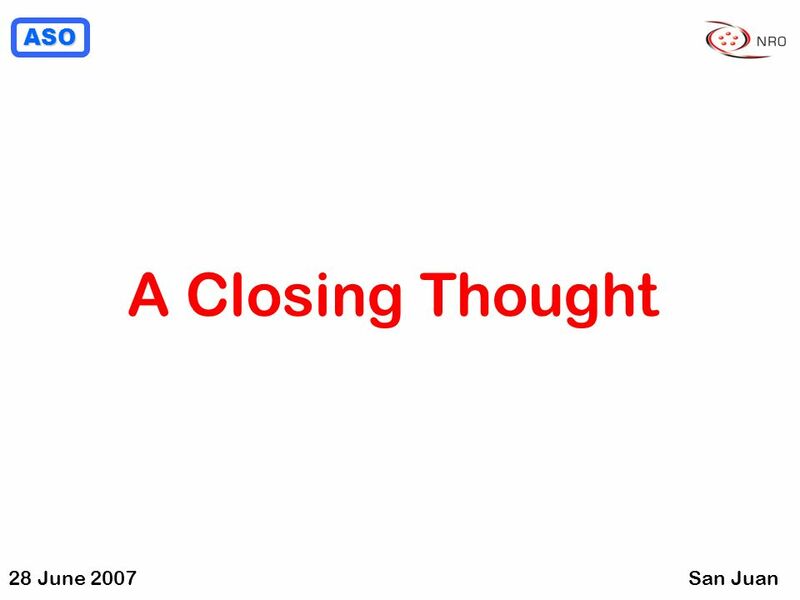 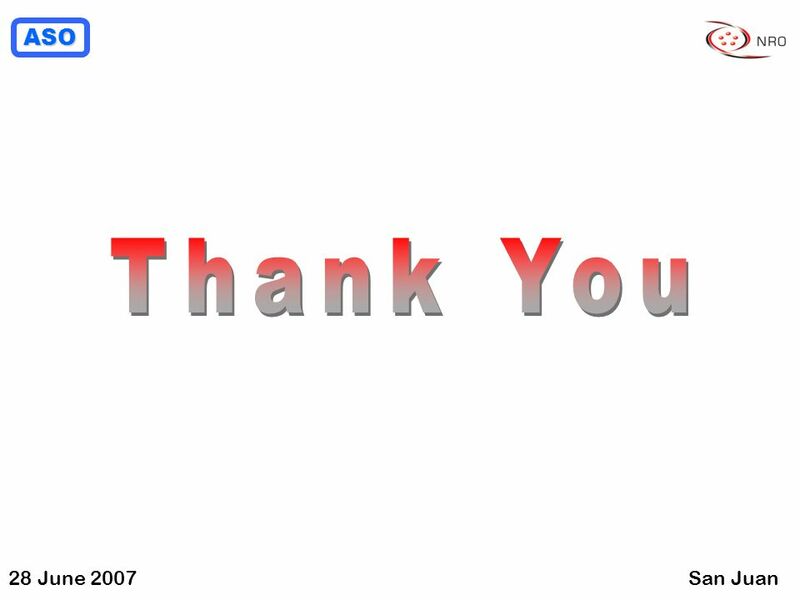 Copyright © 2007 JPNIC All Rights Reserved. 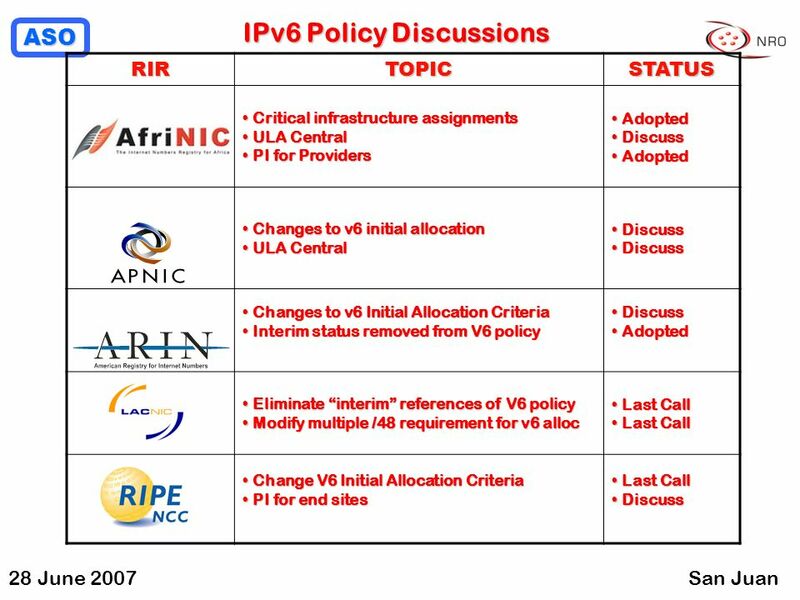 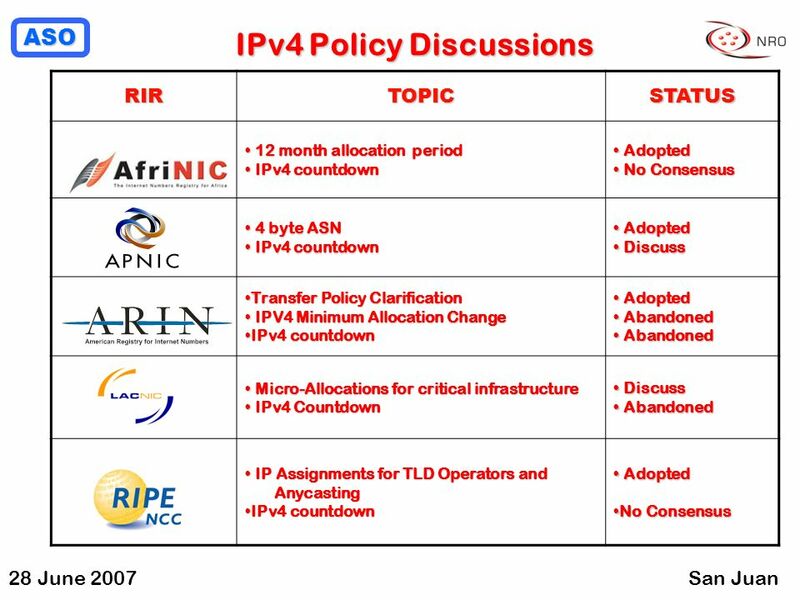 IPv4 Countdown Policy Proposal (LAC ) Toshiyuki Hosaka Working Group on the policy for IPv4 address. 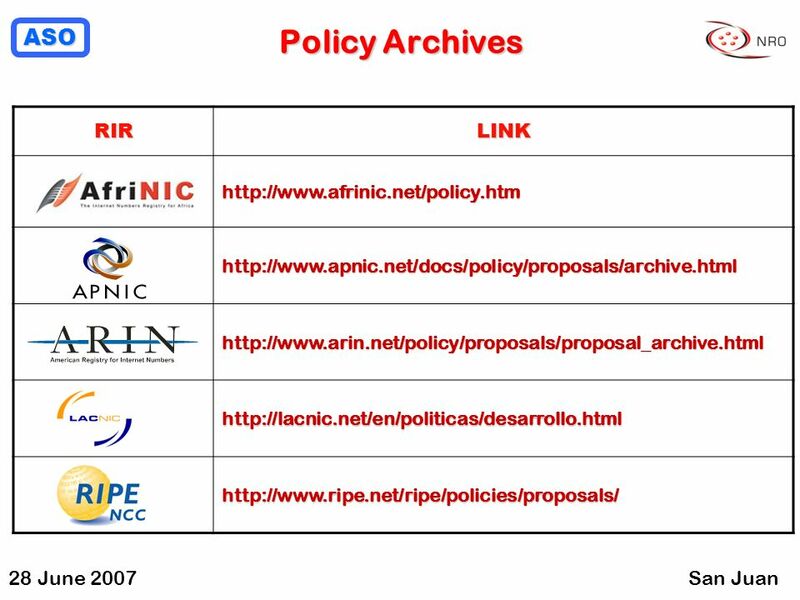 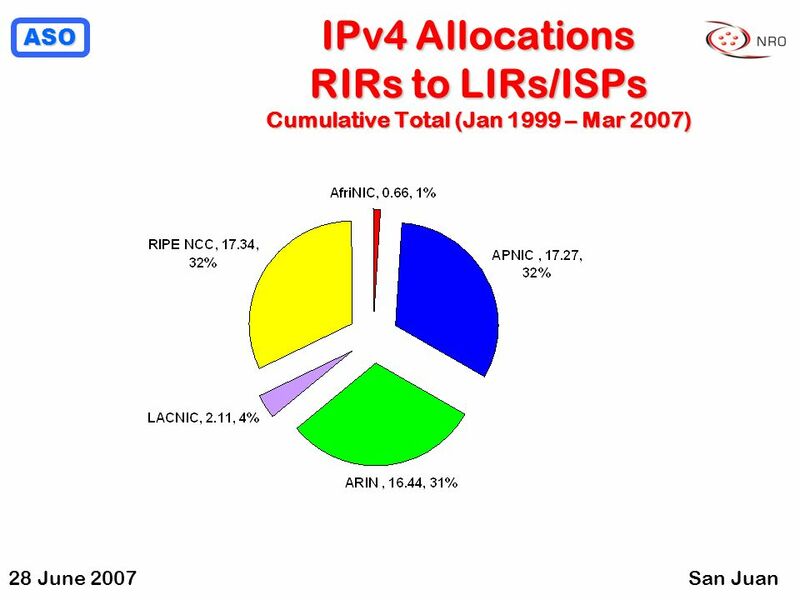 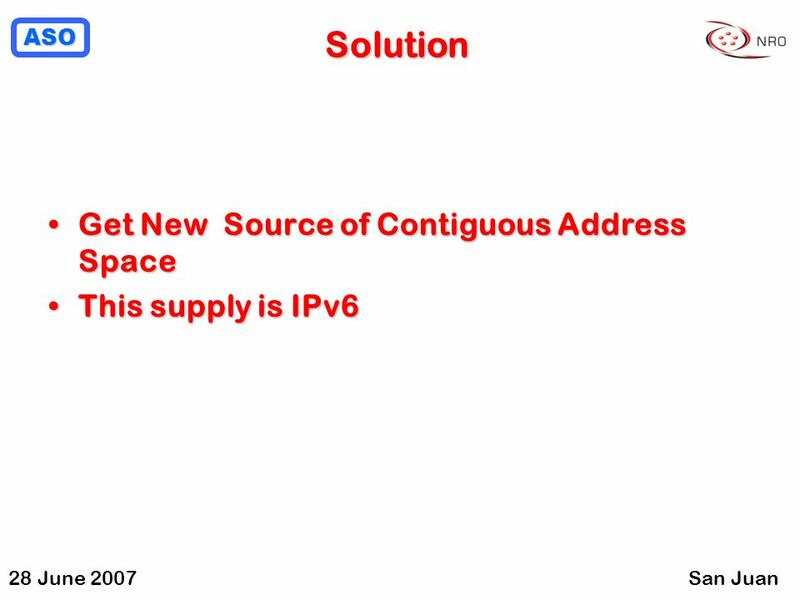 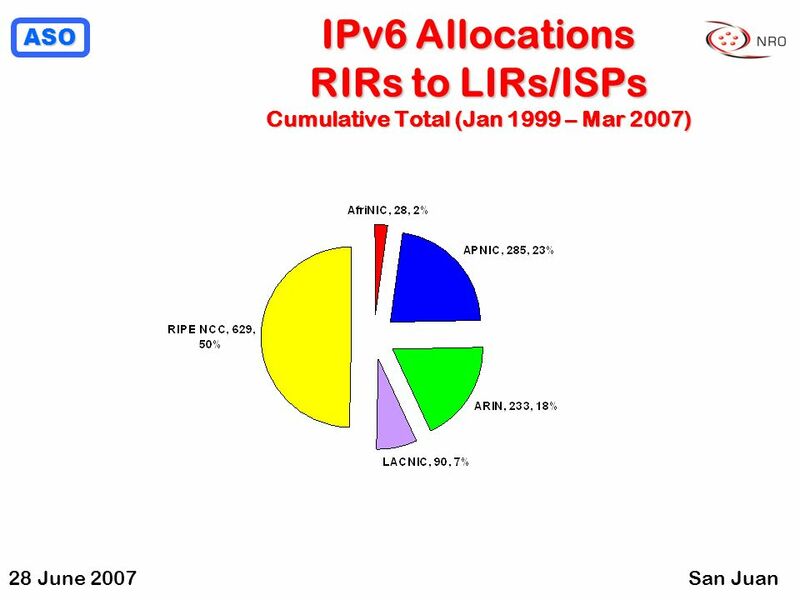 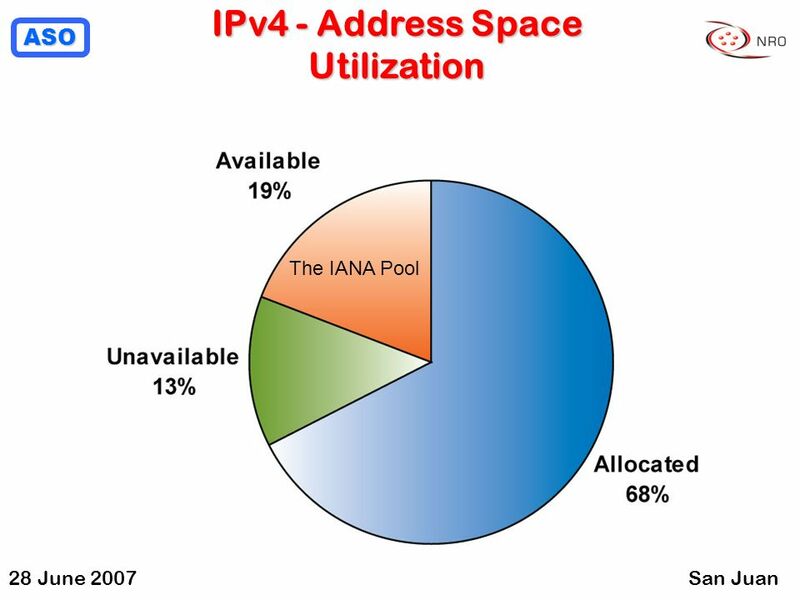 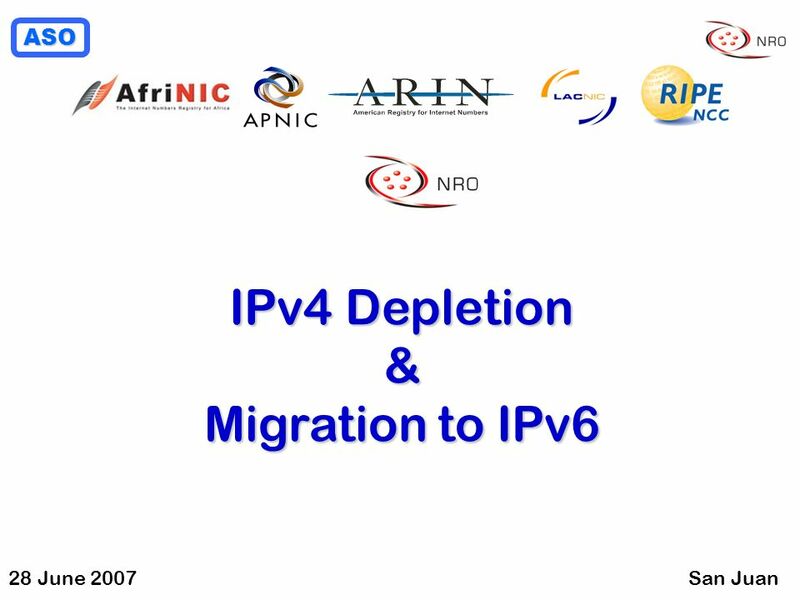 IPv4 Address Transfer proposal APNIC prop-050-v002 Geoff Huston. 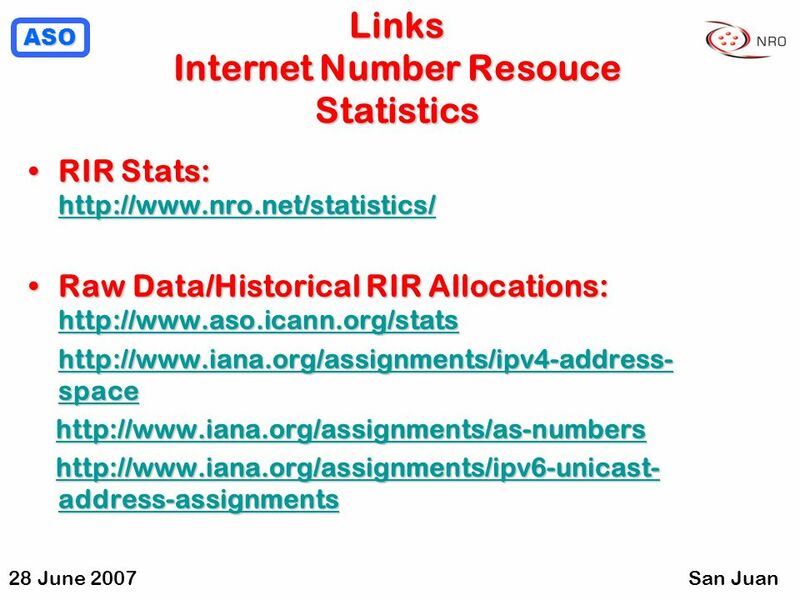 September 2010 Internet Number Resource Report. 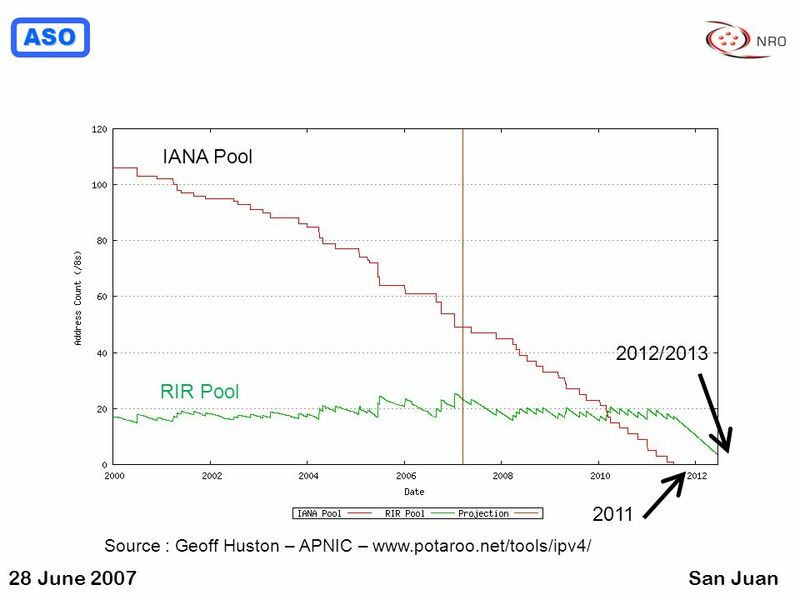 INTERNET NUMBER RESOURCE STATUS REPORT As of 30 September 2010 September 2010. 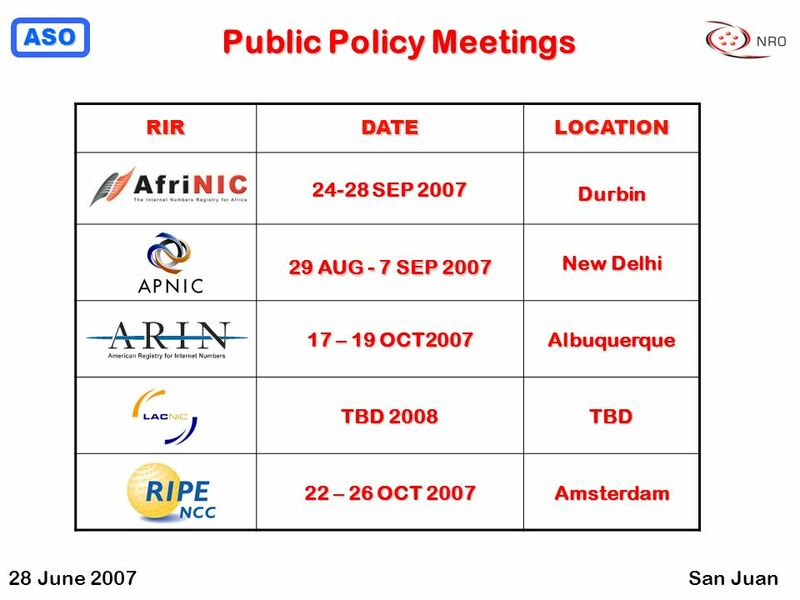 ASO Address Supporting Organization ASO Status Report ICANN Wellington 30 March 2005 Prepared by Regional Internet Registries. 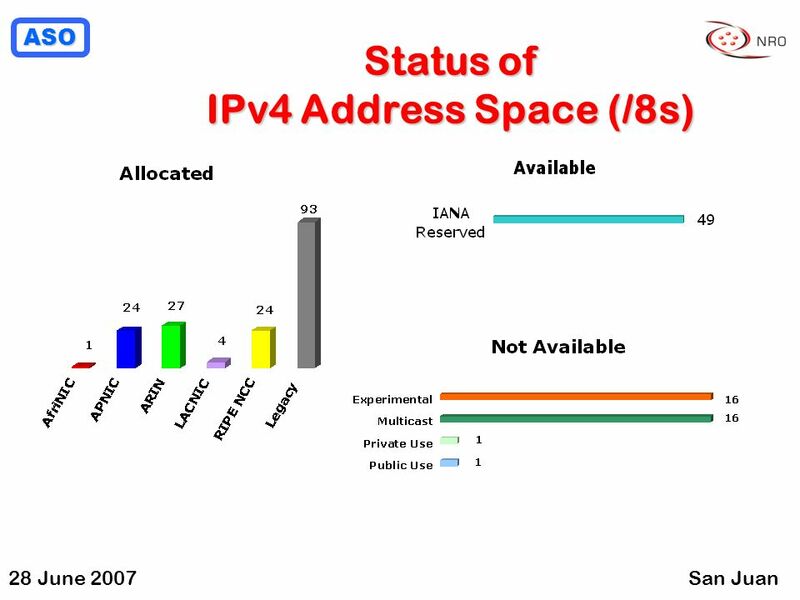 Sep 2007 Internet Number Resources Status Report. 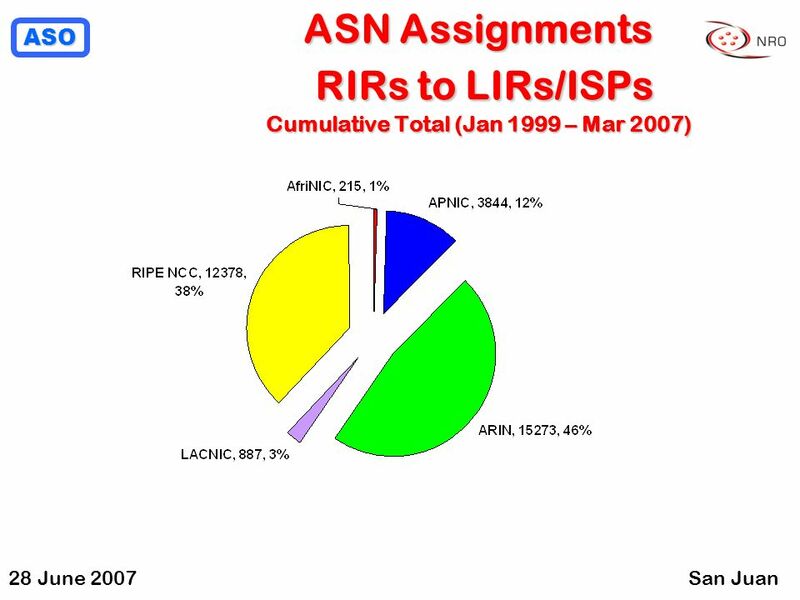 December 2013 Internet Number Resource Report. 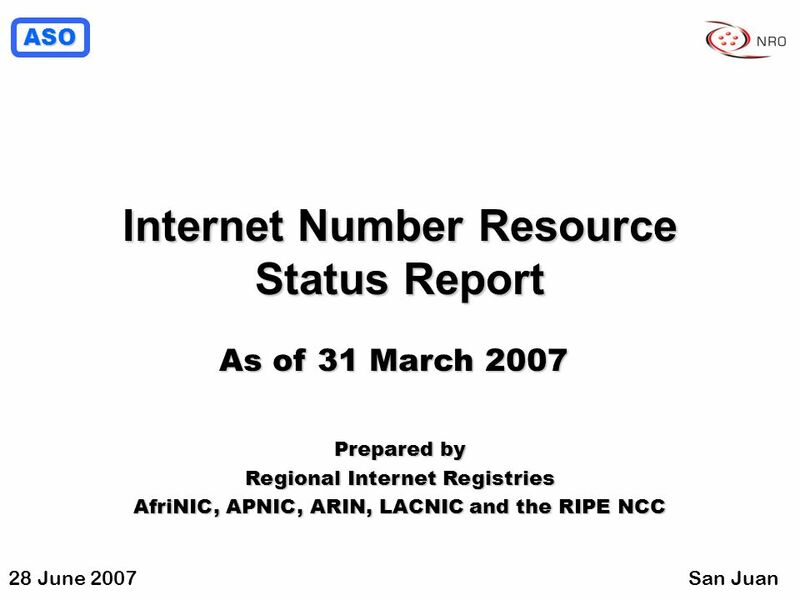 December 2013 Internet Number Resource Report INTERNET NUMBER RESOURCE STATUS REPORT As of 31 December.